All of the clothing items I have linked are under $50! The majority of items come in other colors/prints! 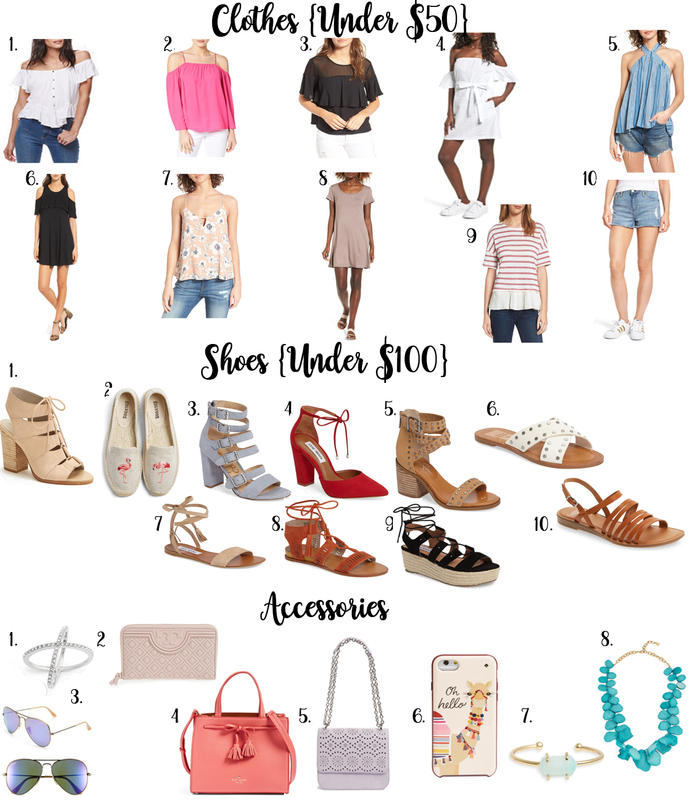 All the shoes I have linked are under $100! There are SO many cute sandals and shoes for summer that are on sale! I could have linked so many more, haha! There are SO many awesome deals on handbags and accessories!! #3 is my fave RayBans I have! Also, the TB wallet (#2) is adorable!